Los Angeles-based producer and progressive house prodigy Deorro is back with a new original track on Ultra Music. The latest high-energy release, “Andele”, reflects Deorro’s heavy-hitting big room house sound, packed with deep, thumping kicks, a signature sound that he’s been creating since his early teen years. 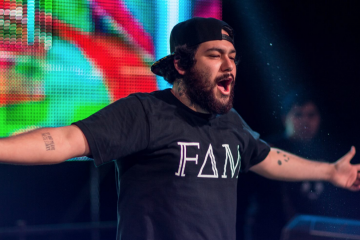 Deorro also manages to incorporate influences from Latin music, adding Spanish lyrics, along with with a meringue-style breakdown in the middle of the dance track. “I decided to mess around with some live instruments and kept the tempo upbeat and came up with this little number,” Deorro tells Billboard. Deorro’s new release is also accompanied by his North American Existence tour which also kicks off today in Texas. 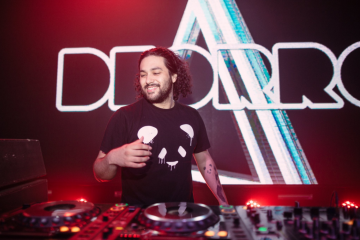 This past summer, Deorro has lit up stages at festivals like Imagine and Global Dance, but now he’s bringing his signature sound to cities all around the United States and Canada. With stops in New York, Philadelphia, San Francisco, San Diego, and more, Deorro is giving fans one last incredible show before the year ends.